The perfect companion to our Multi-Caliber Rifle Magazine Pouch. 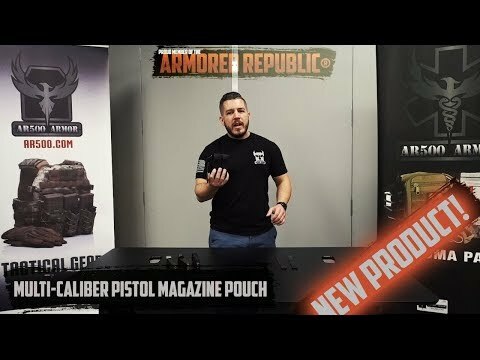 The AR500 Armor® Multi-Caliber Pistol Magazine Pouch accommodates all common pistol magazines in single or double stack form from .22LR to .50AE, and everything in between, even Five-Seven! Dual shingle design accommodates two pistol magazines. Fully adjustable and removeable retention straps allow for closed or open top configurations. Also features and easy-to-grip Hypalon pull tab for rapid access and self-retaining elastic for each magazine compartment. Constructed from genuine 1000D Cordura Nylon. 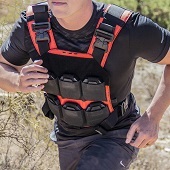 Included with each AR500 Armor® Multi-Caliber Pistol Magazine Pouch is a pair of color matched Fight-Light Malice clips, the premium mounting option for MOLLE accessories and pouches.